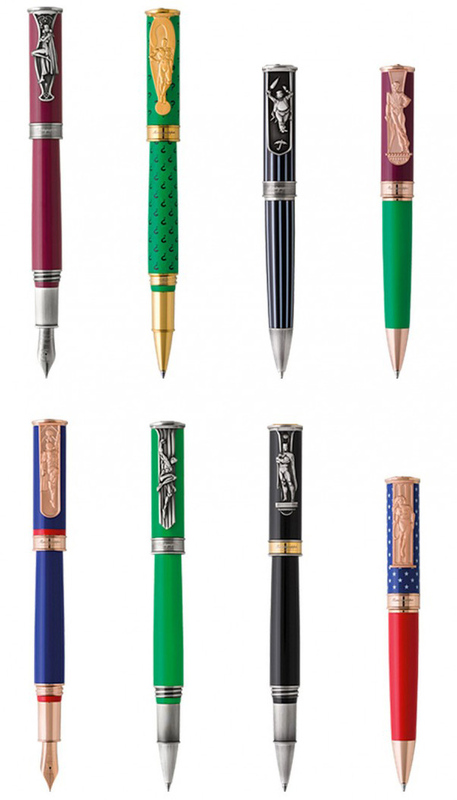 Luxury pen maker Montegrappa has been making writing instruments for almost a century. And DC Comics has been making comics since the golden comic-book era in 1935. So perhaps this lineage justifies the inception of Montegrappa x DC Comics “Heroes & Villains” pen collection. Well, that and the fact that you might just feel a little cheap trying to emulate Bruce Wayne with a Bic or the Penguin with a #2 pencil. The comic-inspired pens started initially with a Batman pen, and after considerable success, a full range of heroes and villains have been added to the inkwell. Batman, Superman, Wonder Woman and Green Lantern make the heroes list, while Joker, Penguin, Catwoman and the Riddler are the villain lineup. Each character has superpower ink-jot options in fountain, rollerball and ballpoint-pen varieties. Available wherever super-fancy pens, cufflinks and exorbitantly priced man trinkets are sold.